Excellent hotels except in Grand Prince in Kyoto, there was no distilled water provided and the room aircon is not functioning. 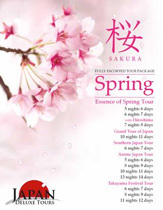 We recommend Seiko, our tour guide who is very accommodating and friendly, to your Japan trip. Same with our bus driver.